Every artist has a different creative process, and a unique place where their art comes to life. 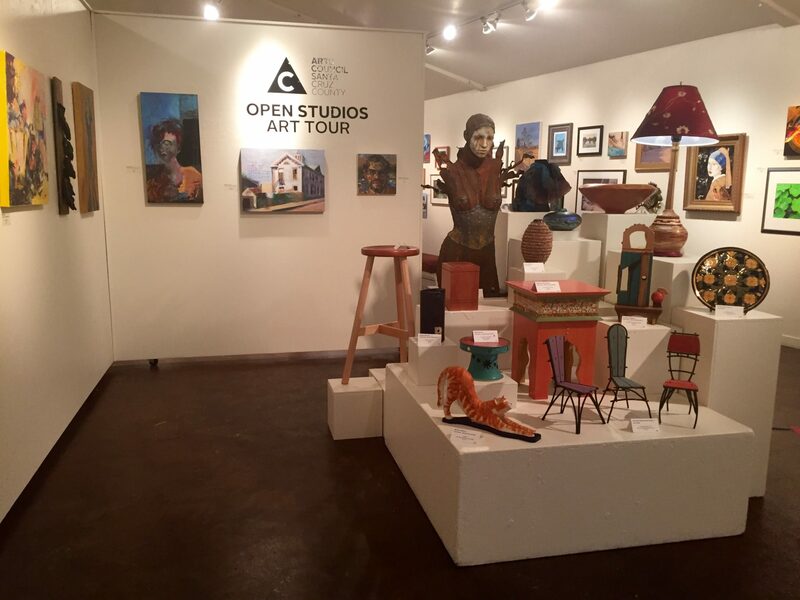 The annual Open Studios Art Tour provides an opportunity to go behind the scenes and more closely understand the style and experience the workspace of a local artist. For the first three weekends in October, hundreds of artists throughout Santa Cruz County will open their studios to the public, so that people from near and far can discover new areas and support art in a lively, personal way. 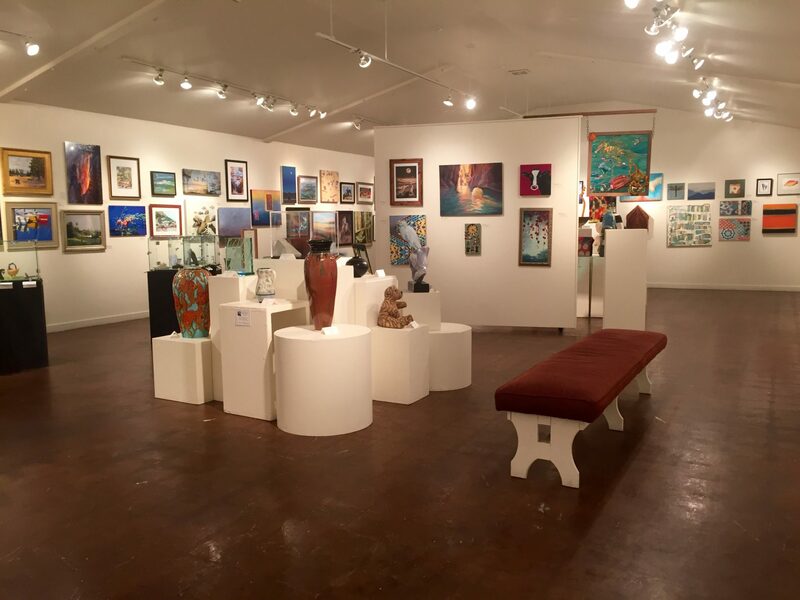 Open Studios is organized through the Arts Council of Santa Cruz County. 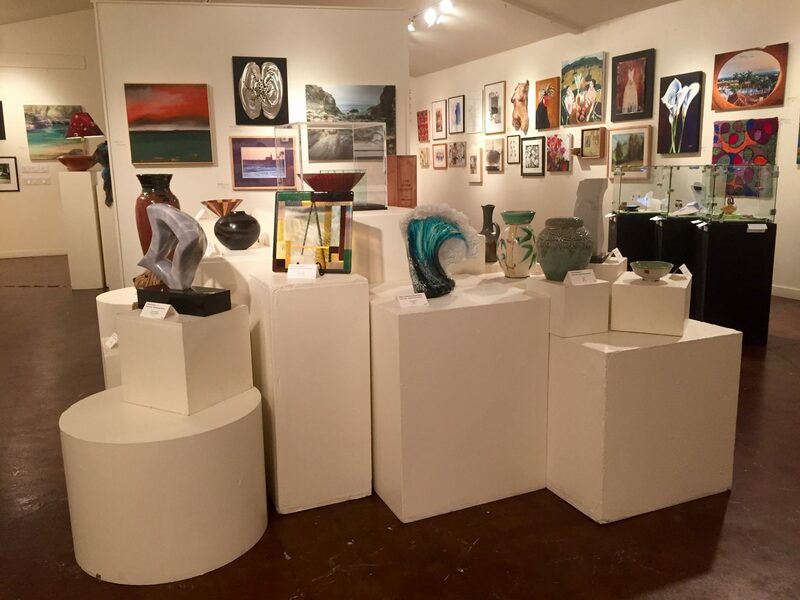 The Open Studios Art Tour is coordinated by Ann Ostermann, one of the dynamic team members representing the Arts Council of Santa Cruz County – an organization that has been connecting local artists with art lovers for 31 years. 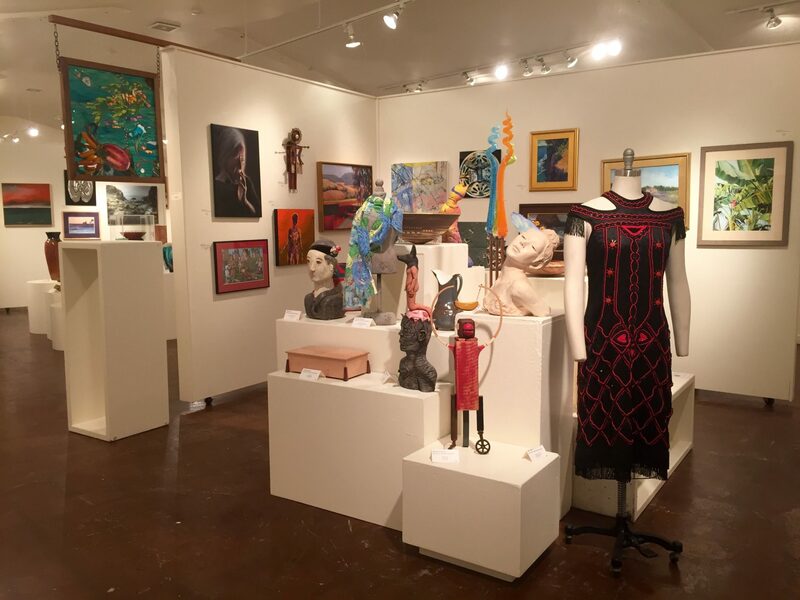 The Open Studios artists are diverse community members who are selected based on their anonymous application by a jury of seven arts professionals. This year’s jury consisted of curators, art professors, gallery directors, and non-profit directors, all from outside of Santa Cruz County. 2016 Tour features 278 artists working in dozens of mediums. The 2016 Tour features the talents of 278 artists working in over 25 different mediums, and includes artists who have been participating since 1986, as well as newcomers who are sharing their studios for the first time. 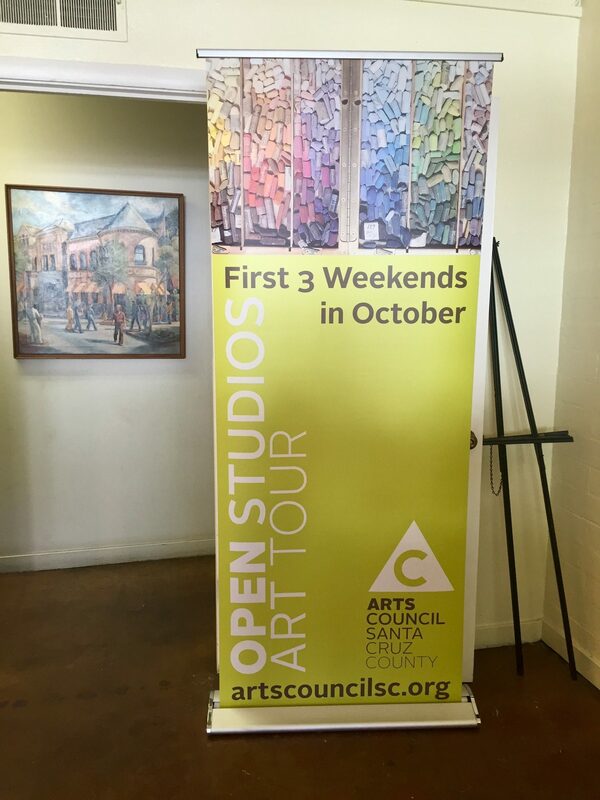 To launch the South, North, and All County weekend Tours, the Santa Cruz Art League is currently presenting an Open Studios Preview. This annual exhibit showcases sample artwork from each of the participating artists, so that visitors can experience a sneak peek of the entire tour. This 2016 Artist Guide cover features an oil painting, “Crow’s Nest”, by Open Studios artist, F.J. Anderson. To continue making Open Studios accessible to as many people as possible, this is the second year the ACSCC has partnered with Good Times to present a FREE Open Studios Artist Guide. 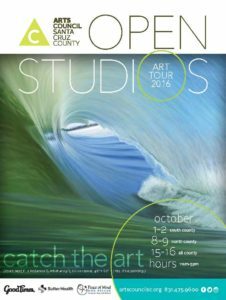 The 2016 Open Studios Artist Guides are available while supplies last at nearly 700 Good Times weekly distribution points and in outlets throughout Santa Cruz County. This year, the Open Studios Art Tour App is also FREE to download. Although an Artist Guide or App is not needed, they are available to help customize a countywide art tour. Visitors can also wander at will to studios by following the green directional artist signs posted around town. Featured mediums include Assemblage, Book Arts, Calligraphy, Ceramics, Collage, Digital Art, Drawing, Encaustic, Fiber Arts/Textiles, Furniture, Glass, Gourd Art, Jewelry, Masks, Metal Work, Mixed Media, Mosaic, Painting, Paper Arts, Photography, Printmaking, Sculpture, Wearable Art, and Woodworking. The South County includes studios south of the Yacht Harbor: Live Oak, Capitola, Soquel, Aptos, Freedom, La Selva Beach, Corralitos, and Watsonville. The North County includes studios north of the Yacht Harbor: Santa Cruz, Davenport, Bonny Doon, Boulder Creek, Brookdale, Ben Lomond, Felton, and Scotts Valley. The studios range from personal to professional venues, such as a room in a house or a part of a warehouse. Visitors can browse and observe the studios at leisure, and are welcome to ask questions and engage with host artists about their work. There’s no obligation to purchase work, but artists display pieces for sale in all price ranges, and many of them offer payment plans if you prefer to return for an item at a later date. Pick up a guide, plan an adventure, be inspired by art, and support the people making Santa Cruz County the thriving creative community that it is. View samples from the entire tour at the Santa Cruz Art League Preview Exhibit, open until October 16, 2016. Find a full list of the 2016 Artist Line Up, links to obtaining the FREE Open Studios Artist Guide or App, and further tips about the tour at the ACSCC website.